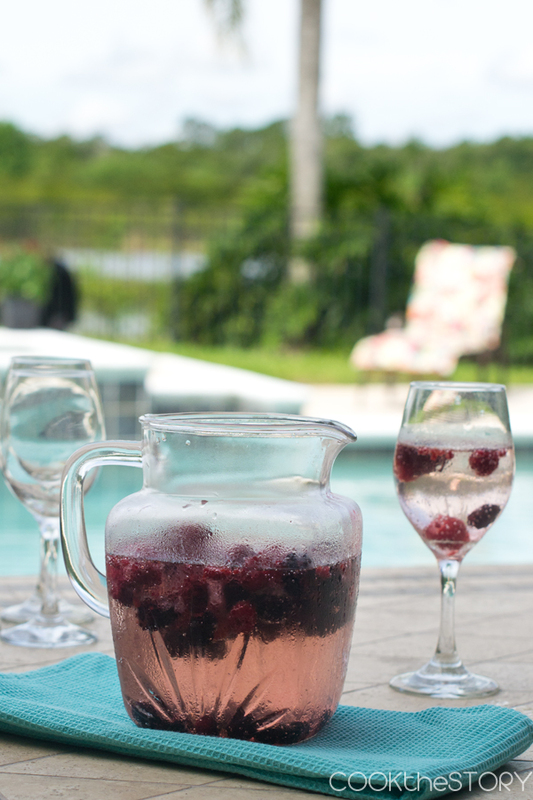 This white wine berry wine cooler is really easy to make and perfect for summer barbecues. It uses frozen berries which help cool the drink and flavor. Choose a wine that you like to drink on its own. If you like dry white wines, go with a dry white here. If you like sweet wines, then use a sweet one. If you like your drinks even sweeter than that, you can use lemon-lime soda instead of seltzer water. 1. Pour wine into a pitcher. Add berries. Stir.